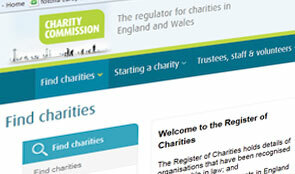 The Charity Commission is not regulating charities effectively. It fails to take tough action in some serious cases and makes poor use of its powers. The Charity Commission is not regulating charities effectively, according to the National Audit Office’s report The regulatory effectiveness of the Charity Commission. The spending watchdog recognises that the Commission carries out important and necessary work and that its independent status and expertise are highly valued, but finds that there is a gap between what the public expects of the Commission and what it actually does. The NAO has concluded that the Commission does not do enough to identify and tackle abuse of charitable status. The Charity Commission uses its information poorly to assess risk and often relies solely on trustees’ assurances. Where it does identify concerns in charities, it makes little use of its powers and fails to take tough action in some of the most serious cases. The NAO concludes that this undermines the Commission’s ability to meet its statutory objective to increase public trust and confidence in charities and that the Commission is not delivering value for money. Between 2007-08 and 2013-14, the Commission’s annual budget fell 40 per cent in real terms to £22.7 million but the number of main registered charities has remained fairly constant at around 160,000. In response to budget cuts, the Commission has reviewed how it works and successfully reduced demand for its services, but it has not identified what budget it would need to regulate effectively. The Commission makes little use of its enforcement powers, for example suspending only two trustees and removing none in 2012-13. And it can be slow to act when investigating regulatory concerns. The NAO found cases where periods of several months passed during which the Commission took no action. Furthermore, the Charity Commission does not take tough enough action in some of the most serious regulatory cases. It is also reactive rather than proactive, making insufficient use of the information it holds to identify risk. Among the NAO’s recommendations is that the Charity Commission thinks radically about alternative ways of meeting its objectives with constrained resources. It also needs to make greater use of its statutory powers in line with its objective of maintaining confidence in the sector; and develop an approach to identify and deal with those few trustees who deliberately abuse charitable status. In a separate report The Cup Trust, also published today, the NAO found that the Charity Commission did not properly consider whether The Cup Trust met the key legal requirement of being within the jurisdiction of the High Court of England and Wales before registering it as a charity in 2009, and was slow in handling the case. Earlier this year, the Public Accounts Committee concluded that The Cup Trust had been set up as a tax avoidance scheme. The Cup Trust submitted claims for £46 million Gift Aid on £176 million of payments from participants to the scheme, but gave just £152,292 to charitable causes between April 2009 and March 2013. The Gift Aid claims have not been paid. The watchdog also found that the Charity Commission did not give sufficient consideration to issues which might have enabled it to open a statutory inquiry into the Cup Trust in March 2011, and that it was slow to appreciate the potential impact of the case on public confidence in charities, which it has a statutory duty to increase. The Charity Commission did not take sufficient account of the scale and nature of the tax avoidance scheme in its case strategy, was narrowly focused on the legal position and paid insufficient attention to the wider issues of public detriment, which it would have been appropriate to pursue further.